Larger Project 4-12, Powder Bathroom » Roger Perron Inc. 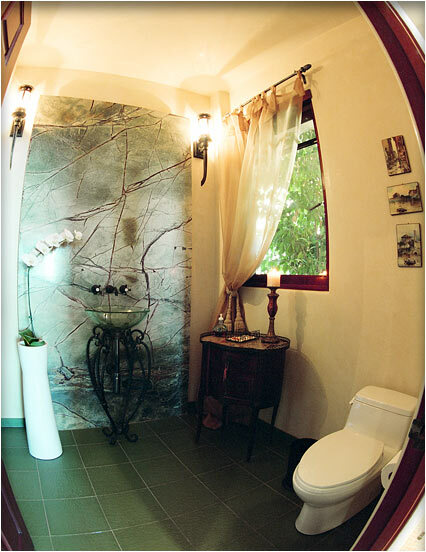 This is a view of the powder bathroom, with Green Forest granite on the wall behind the pedestal. The flooring is 12″ x 12″ green ceramic tiles. The pedestal faucet is mounted from the wall. This bathroom is off a service hall, which leads to the pantry, laundry and then the garage.